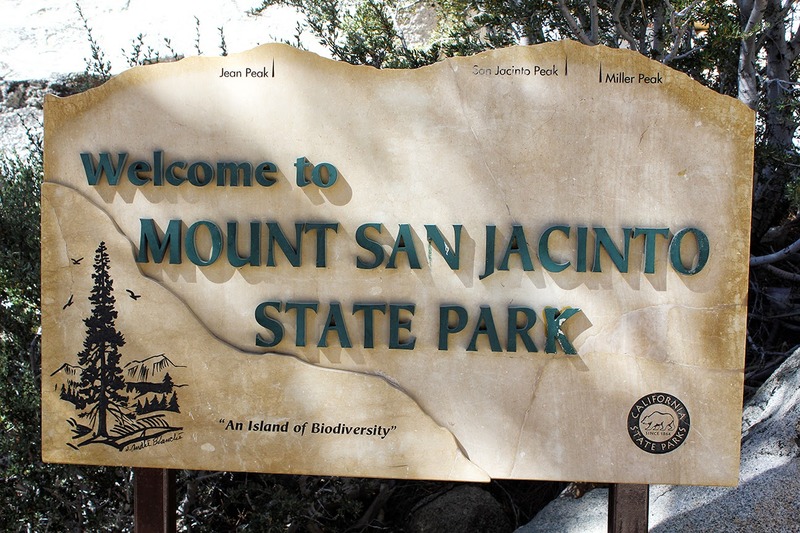 This week, I finally made my first trip to Palm Springs to hike in Mount San Jacinto State Park. My girlfriend and I had a few consecutive days off and we made the decision to drive up at midnight the night before. I found a cheap hotel about ten miles down the road in the town of Desert Hot Springs through Travelocity for $60. The Aqua Soleil looked nice in the photos, so we booked it and headed out at 10 a.m. the next morning. We made it to the Palm Springs Aerial Tramway around noon. Tickets for the tram cost us $24 each. You're basically forced to take the tram, because if you tried to hike from the bottom, it would take you around 7 hours and ten miles of hiking with 8,000 feet of elevation gain. 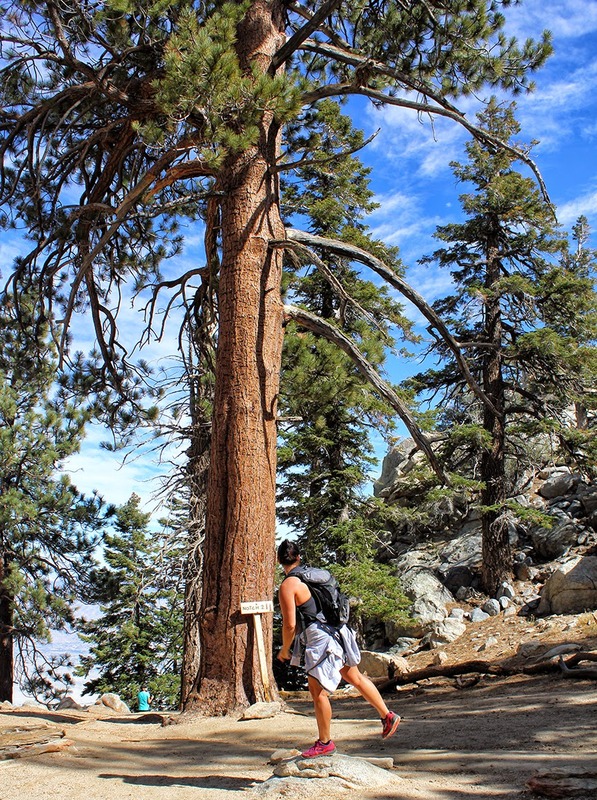 People who have hiked it say that its worse than hiking Mount Whitney. The tram ride takes around ten minutes. Once we reached the station at the top, the temperature was around 30 degrees cooler than on the desert floor below. It was a nice change to hike in 60 degree weather in the middle of a desert. The tram station at the top has a few small restaurants where you can buy food and snacks. I bet a lot of people never make it outside of the tram station. We opted to start with an easy trail. The Desert View Trail is about 1.5 miles round-trip with a slight uphill elevation gain going in. This is the trail that most of the tourists do. There are 5 overlooks along the trail with views of the valley floor below. I was surprised to see so many large Jeffrey Pine trees in the park. I have no idea where they are getting water from because the creek was bone dry and we haven't had a significant rain or snow in several years now. 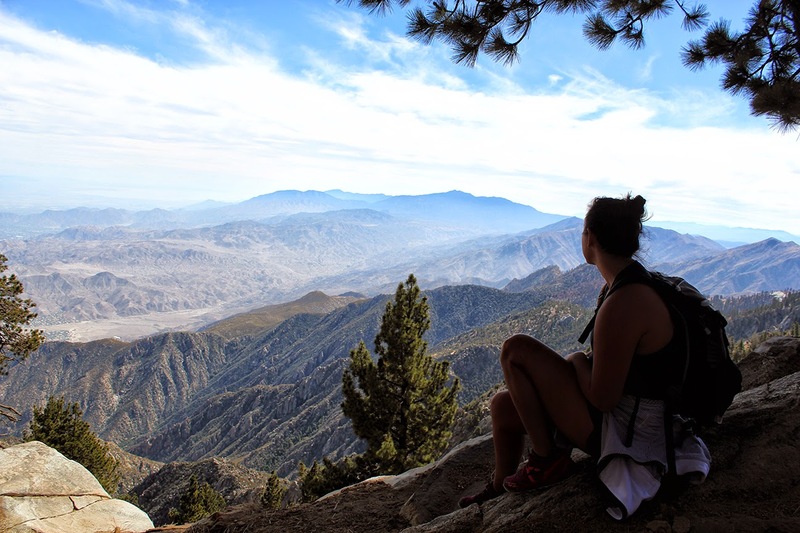 October is a really great time to see Mount Jacinto. We could not have wished for better weather. My only regret was that we should have done this trail during sunset and not in the middle of the day. You can see all of Palm Springs below and I bet it looks amazing at night. The next trail we hit was the Round Valley Trail. For this section of the park, we had to stop at the ranger station and fill out a permit. It only took about 3 minutes, it was free, and the ranger gave us a map. The hike to the Round Valley Campground from the tram is about 4 miles round-trip with approximately 1000 feet in elevation gain. It took us less than two hours and we stopped a bunch and goofed off. We really should have hiked the last mile past Round Valley to Wellman's Divide, but I was really sore from playing basketball the day before and I was really looking forward to a seafood dinner and a bottle of wine in Palm Springs. 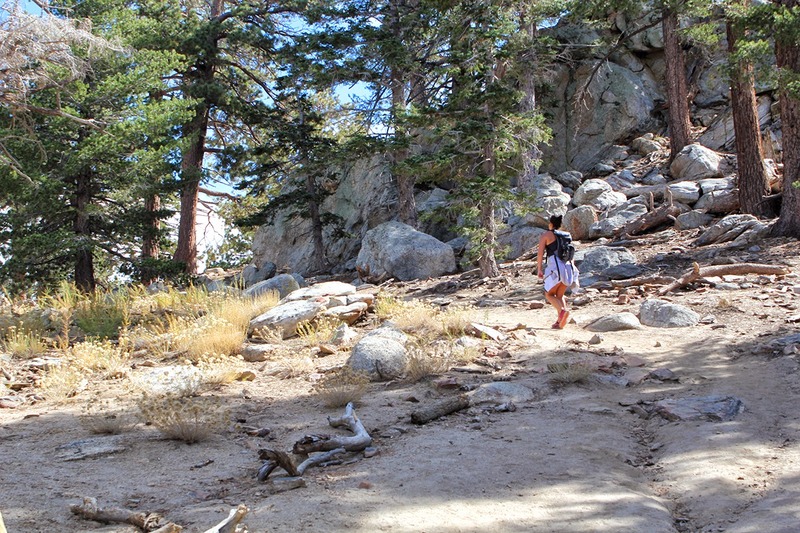 If you plan on hiking all the way to the top of Mount San Jacinto you would follow the signs and continue on past Round Valley. It gets rough from this point on, so make sure to bring enough water and allow yourself enough time to make the last tram out. 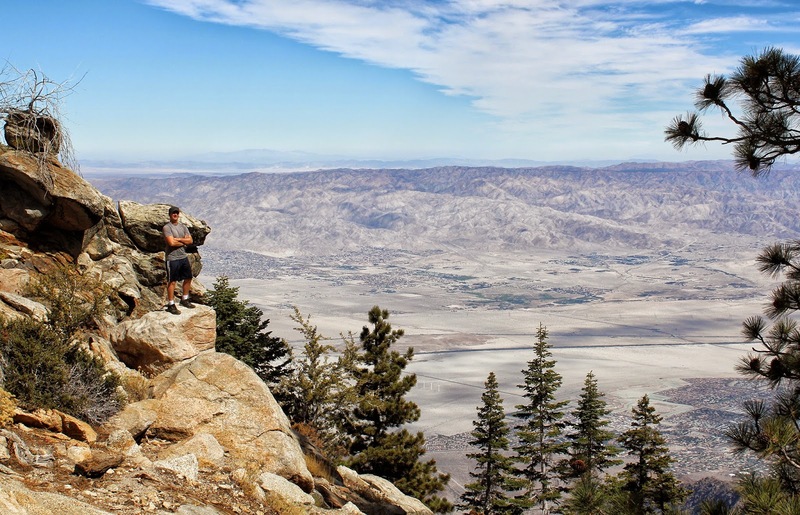 The hike from the tram to the peak of Mount San Jacinto and back is about 11 miles round-trip and may take as long as 7 hours because of the thin air and elevation gain. I would like to come back and turn it into an overnight trip sometime and just camp at Round Valley. An awesome little bar in Palm Springs that serves tropical drinks. The bartenders were rad and we spent our night sampling beers with them. A east-coast style Oyster Bar. The Campechana appetizer was glorious. I tried to bribe the waiter to steal the recipe for me. It was $60 for a room midweek and the rooms had just been renovated. They have two hot tubs and a large pool. The pool and hot tubs were open 24 hours and we had them to ourselves. Trailhead in the Indian Canyons located on S. Palm Canyon Dr.
Trailhead: at the Tahquitz Visitor Center located on Mesquite Ave.